Keyboard is a good size at nearly 13 inchs. Items that people will come to rely on and use everyday will always be a staple of the promotional products industry (which is likely why we sell so many coffee cups and pens). The Pyramid Bluetooth Keyboard by Project iQ fits these attributes as well, it is a great keyboard and stand design, that will hold up well to everyday use. The Pyramid Bluetooth Keyboard by Project iQ case flips open to create a stand for a tablet (or smartphone) that allows for both horizontal or vertical viewing positions. The full size keyboard pairs easily with any Bluetooth enabled device, providing a comfortable workstation feel for working on the go. The Pyramid Bluetooth Keyboard by Project iQ also folds down easily into a slim case allow it to conveniently be stored in any backpack or bag for taking on the go. Deboss is done on UltraHyde case. 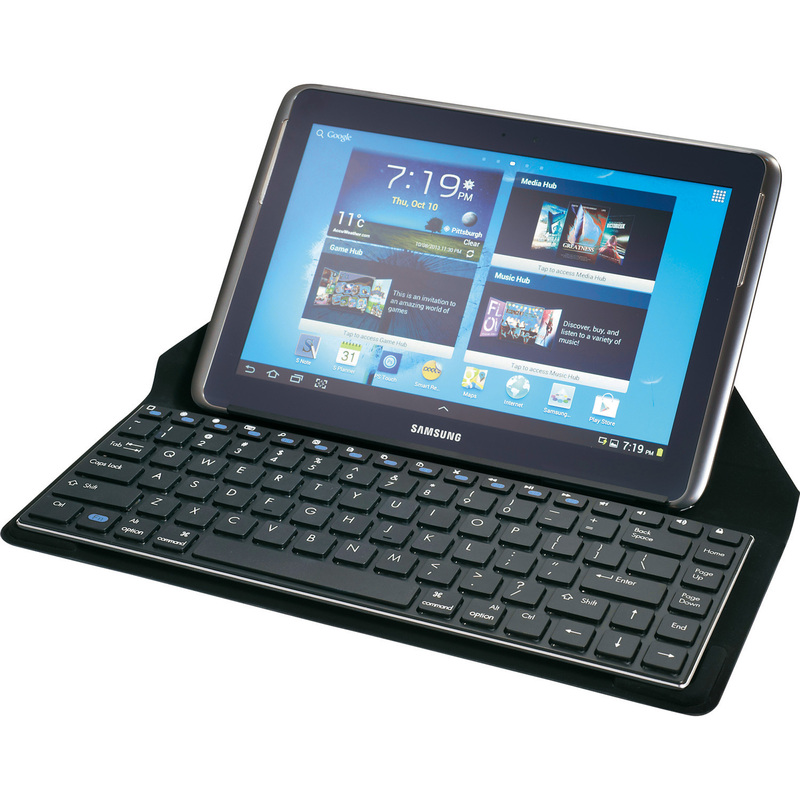 The keyboard is powered by a rechargable lithium ion battery, which holds a charge long enough for the work day. Deboss imprinting of your logo can be done on the case and/or spine, with an imprint size of 3.00″ H x 3.50″ W on case front, and 1.50″ H x 5.00″ W on spine. 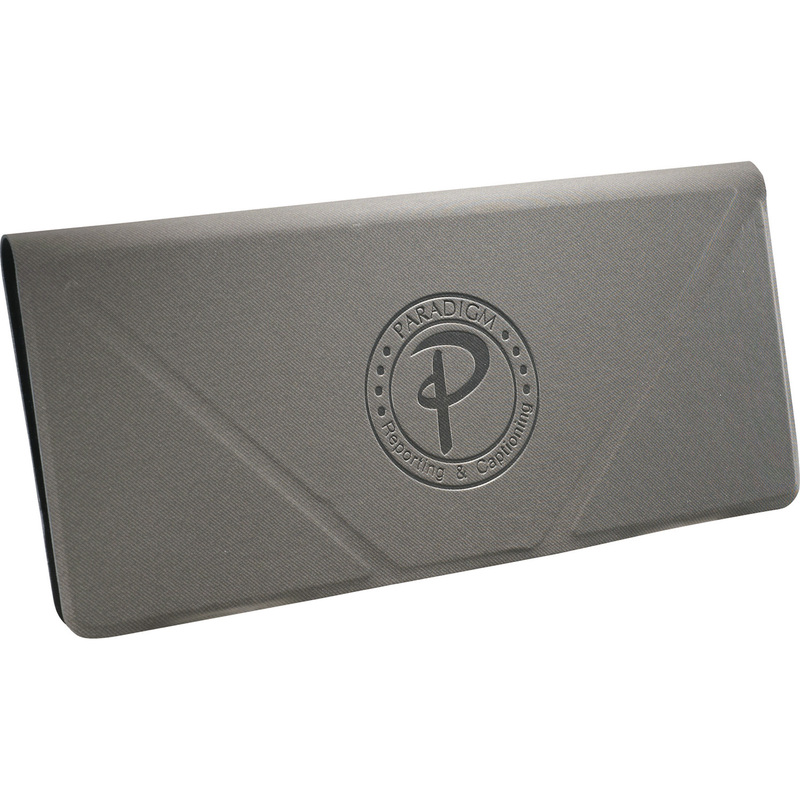 The Pyramid Bluetooth Keyboard by Project iQ ships in a gift box which bears the Project iQ logo, so it look very much like a retail item, in its presentation. The Pyramid Bluetooth Keyboard by Project iQ is another tech product that is great for a mobile workforce, and I also like it for marketing targeting college students (say as credit card sign-up gift). Please contact us at info@proformagreen.com if you would like more information on the Pyramid Bluetooth Keyboard by Project iQ.